As the US continues to wrestle with the aftermath of the Patient Protection and Affordable Care Act of 2010 and to contemplate future changes in its health insurance programs, one useful starting poin is the facts about health insurance coverage presented by Edward R. Berchick, Emily Hood, and Jessica C. Barnett of the US Census Bureau in the annual report, Health Insurance Coverage in the United States: 2017 (Current Population Reports, September 2018, P60-264). As the Affordable Care Act kicked in, it reduced the share of Americans without health insurance from 14-15% to about 8-9%. 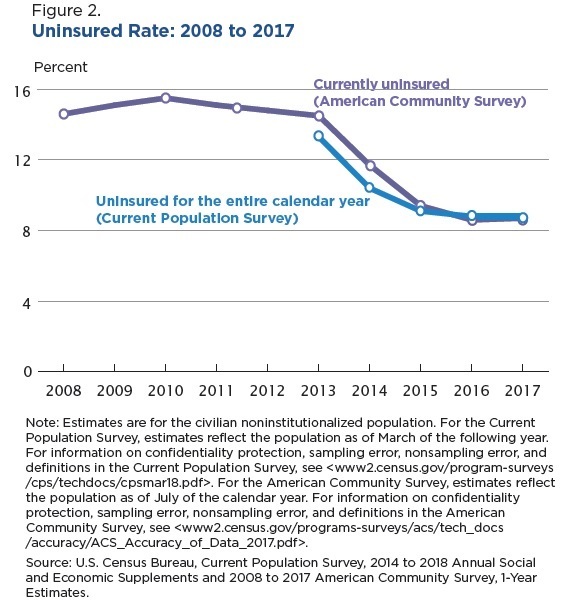 It wasn't a surprise that the uninsured rate remains above 8%. Before the Affordable Care Act was passed, it was not projected to provide universal health insurance. As I've written before, there's no magic here about expanding coverage. The Congressional Budget Office has documented that that the expansion of health insurance coverage is costing the US government about $110 billion annually. Thus, the cost of expanding health insurance coverage to an additional 20 million people works out to about $5500 per person per year. Personally, I'm fine with spending the money for this expansion of health insurance coverage, although I would have preferred to see the money raised by taxing some portion of employer-provided health insurance benefits as income. 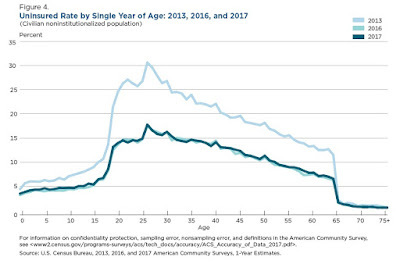 In thinking about the issue of the remaining uninsured, it's useful to keep the age dimension of the issue in mind. 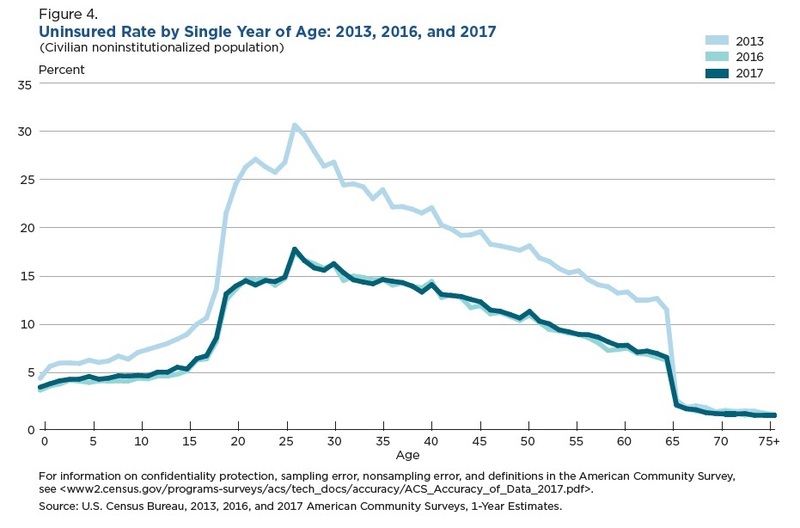 This figure shows the rate of uninsured by age for 2013, 2016, and 2017. 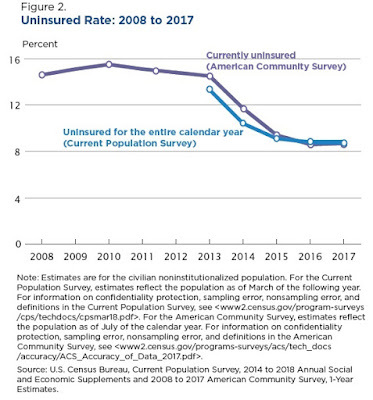 The uninsured rate for children is low (Medicaid and the Children's Health Insurance Program) and the uninsured rate for the elderly is low (Medicare). The real spike in the share of uninsured is for young adults. Thinking about what kind of health insurance makes sense for this relatively healthy group seems potentially productive. Another issue for the remaining uninsured is the state-level variation. 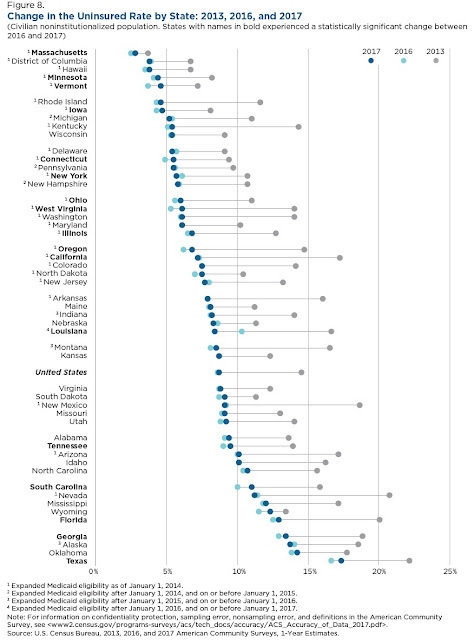 This figure shows changes in health insurance coverage by state. The variations across states are substantial, because states have a lot of power to determined the extent of the health insurance programs for those with low incomes. I live in Minnesota, and I'm pleased to live in a state where the share of population that lacks health insurance is fairly small. But how you feel about lack of health insurance in the US is in some ways linked to whether you can live with the idea that majorities in other states are making other choices. 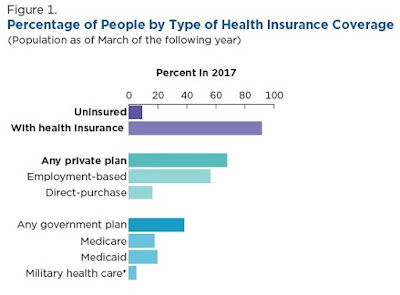 Finally, most people get their health insurance through employment-based private plans. The surveys I've seen over the years also suggest that most people who receive health insurance in this way are reasonably happy. Of course, this is why President Obama repeatedly made statements before and after the passage of the 2010 health care legislation like: "If you like your doctor, you will be able to keep your doctor, period. If you like your health-care plan, you’ll be able to keep your health-care plan, period. No one will take it away, no matter what.” It was widely known even within the Obama administration that the promise was untrue (see here and here). 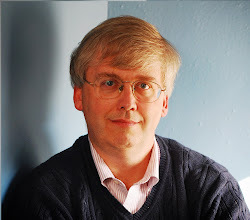 But the need to make such a promise--and the extreme sensitivity on the issue--suggests that proposals to replace private health insurance with some form of Medicare-for-all will have a hard time gaining traction.